As the ISDT was the shop window to the motorcycle world, all factories took it seriously, though their approach often differed. We take a look at a faithful reproduction of NSU’s 1956 mount. As the whole point of the exercise was to show how good standard models were, the factory version differs only slightly from the roadster Supermax. While Gary Chapman set up the lights for our shoot at the Carol Nash International Classic Motorcycle Show, I had a chance to quiz Ferry Brouwer about his superb re-creation of an ISDT NSU. 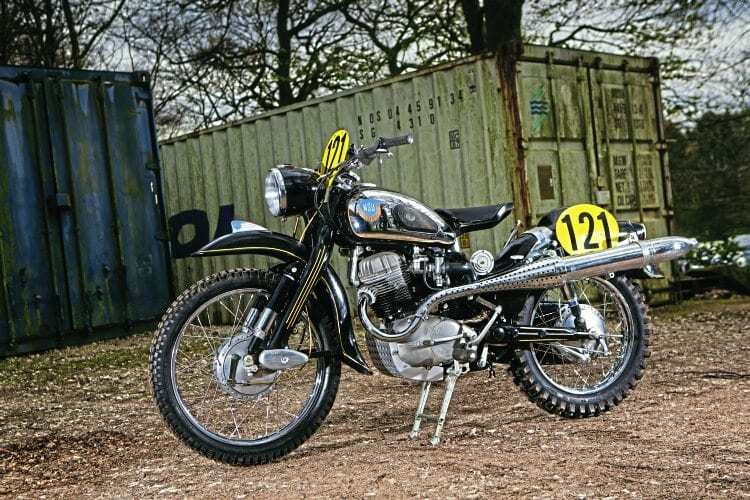 Knowing how fast he worked and the relatively short space of time it had taken him to reproduce the cantilever Yamaha works trials bike we featured a couple of issues back, I wanted to know how long the NSU had been in the making.